Buy upgrades for Retail Man POS, Ezi Solution POS and Ezi Accounting software. Increase the number of licensed users, upgrade to the latest version, upgrade from Accounting to POS. • A valid POS or Accounting licence key must exist before an upgrade can be purchased. • Upgrades from similar releases (e.g. 2.1 to 2.1.15) are free of charge. No new licence key is required. • Increase the number of licensed users to support more POS stations or workstations. • Upgrade to the latest major version (e.g. 1.90 -> 2.5). 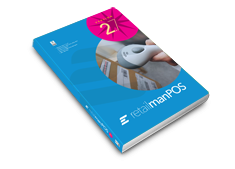 • Upgrade from Ezi Accounting to Retail Man, or Retail Man to Ezi Solution POS. 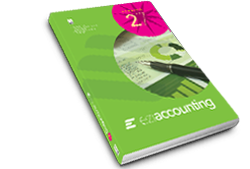 • VAT is chargeable for UK and some customers in the EU. • Please E-Mail Ezi Solution for confirmation of prices for upgrades for the Company Name. Version 2.5 was released on 21st August. Some prices have been revised for adding users and for version upgrades. The downloads for Version 2.5 are for new installations and for upgrades. A new licence has to be purchased to use Version 2.5. A full backup is recommended before upgrading software. Buy upgrades or support from Ezi Sales or @ccounting. • Most major currencies are accepted. Prices are converted at the time of purchase to GBP or USD. • A new licence key will be supplied for the new number of users and software version. • The number of licensed users can be increased by simply installing the new licence key. The company name has to be changed under Maintenance -> System Setup -> Company to enable the new licence key to be installed, and the company name changed back to as before. • Gold Support is recommended for assistance before and after upgrading. 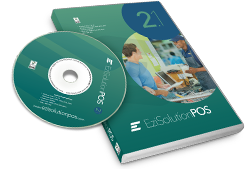 • Download the latest version of Retail Man, Ezi Solution POS or Ezi Accounting, backup all files, install the software from the download, then add the details of the new licence key.